The Chimurenga Library is a research platform that seeks to re-imagine the library as a laboratory for extended curiosity, new adventures, critical thinking, daydreaming, socio-political involvement, partying and random perusal. Curated by Chimurenga, it offers an opportunity to investigate the library and the archive as conceptual and physical spaces in which memories are preserved and history decided, and to reactivate them. 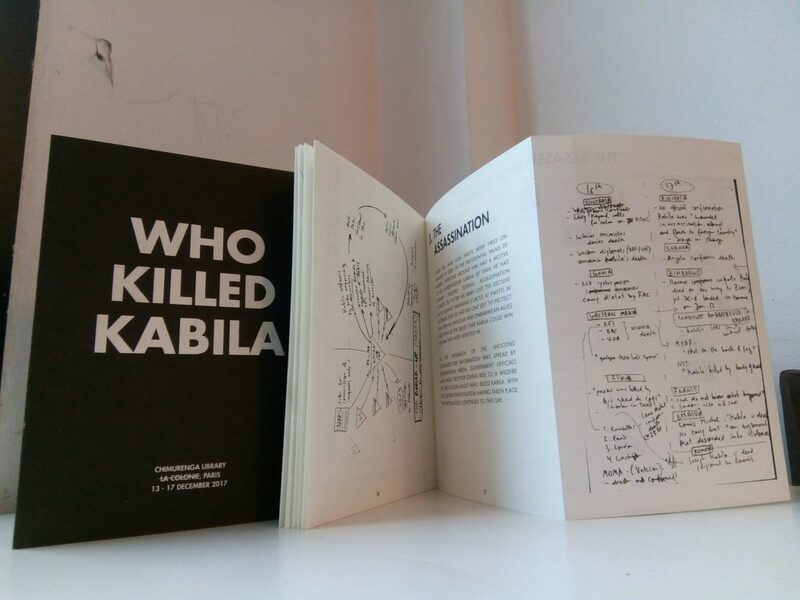 From December 13 – 17, 2017, Chimurenga installed a library of books, films, and visual material mapping extensive research that ask “Who Killed Kabila“, as the starting point for an in-depth investigation into power, territory and the creative imagination. This book catalogues all the research material produced and collected for this installation. The catalogue is now available for sale in the Chimurenga shop.